This is a rectangular Ford V8 porcelain sign. This particular Ford V8 sign is very colorful. 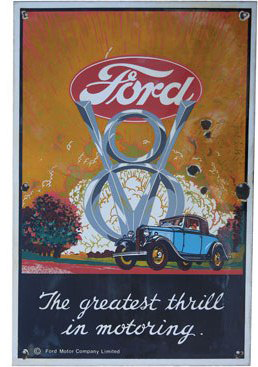 It reads, “Ford V8, The greatest thrill in motoring.” and features a older model Ford driving along a country road.